Wow! 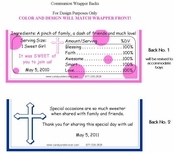 That's all you can say about the beautiful 1st Holy Communion Candy Bar Wrapper! With a Celtic Cross in a beautiful shade of blue perfect for your Sons fist Communion. 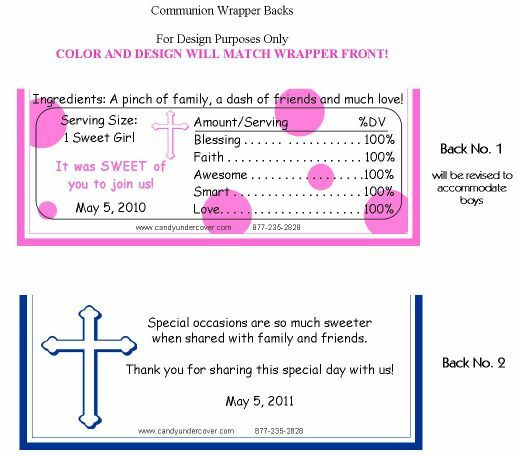 Complete with child's name and date of Communion, with or without a photo, these Communion Chocolate Wrappers are stunning!